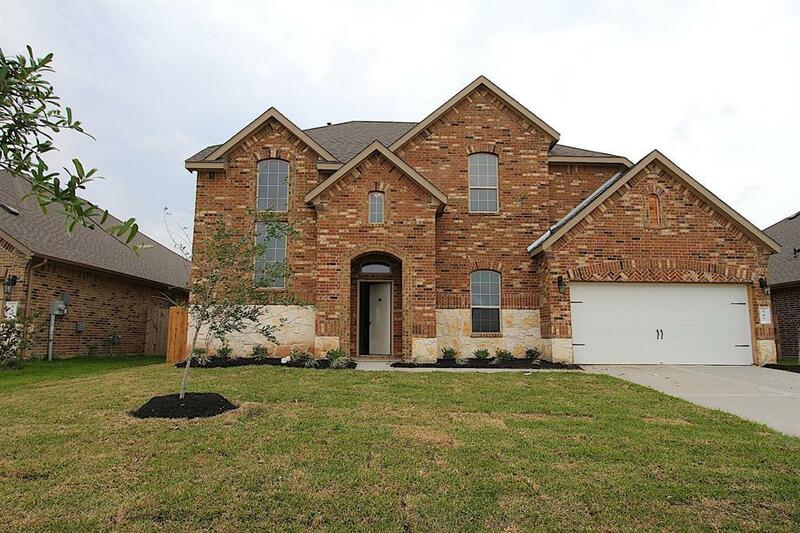 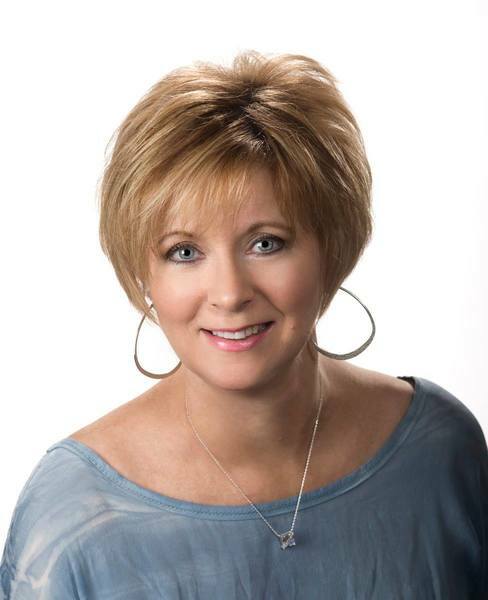 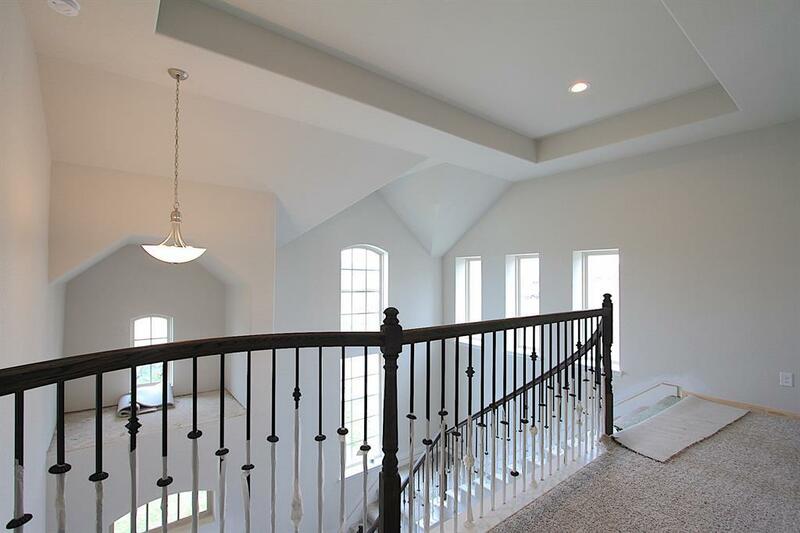 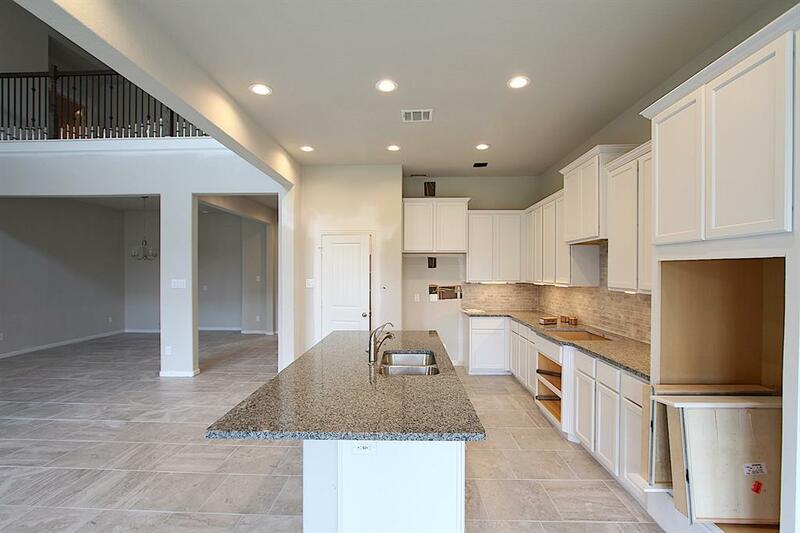 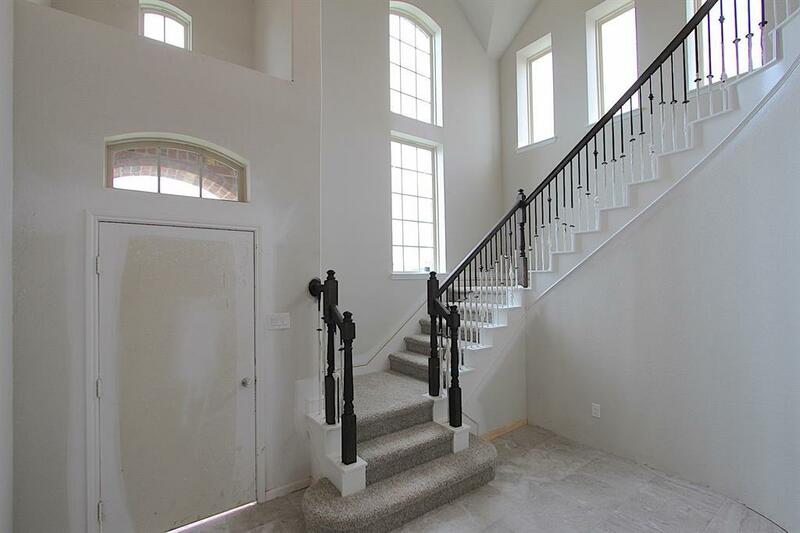 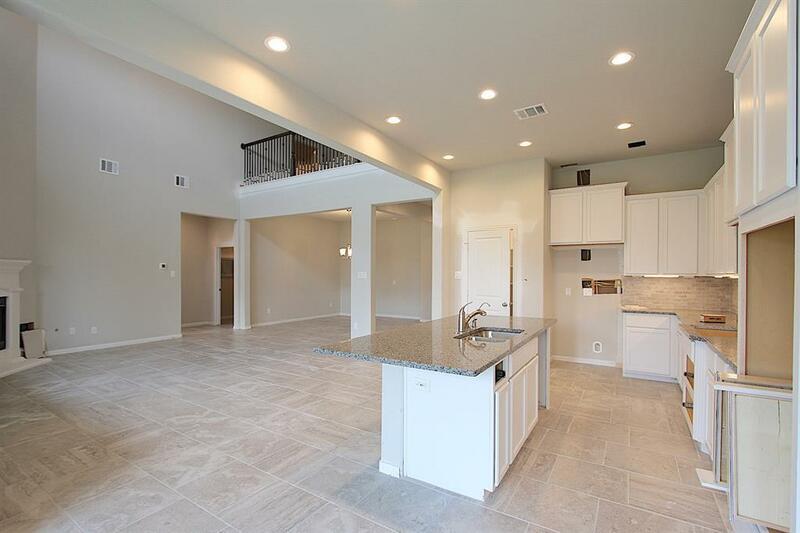 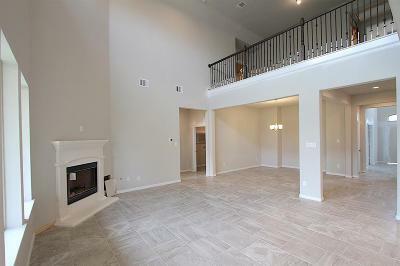 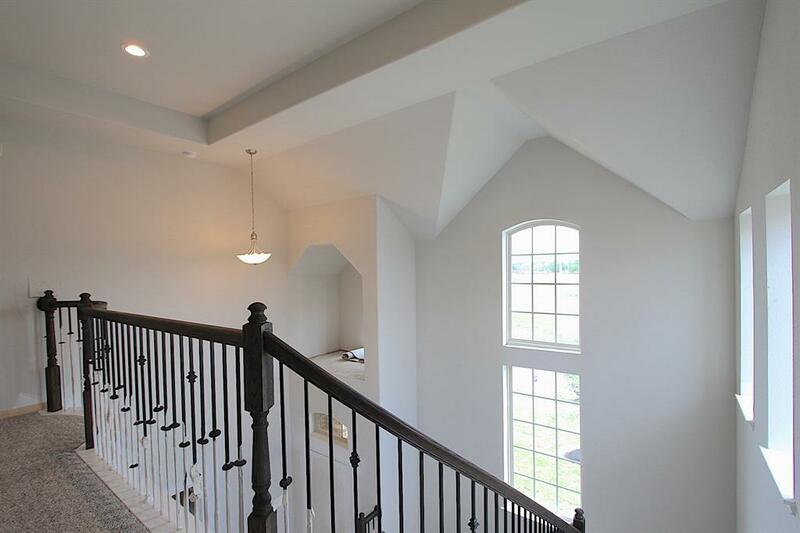 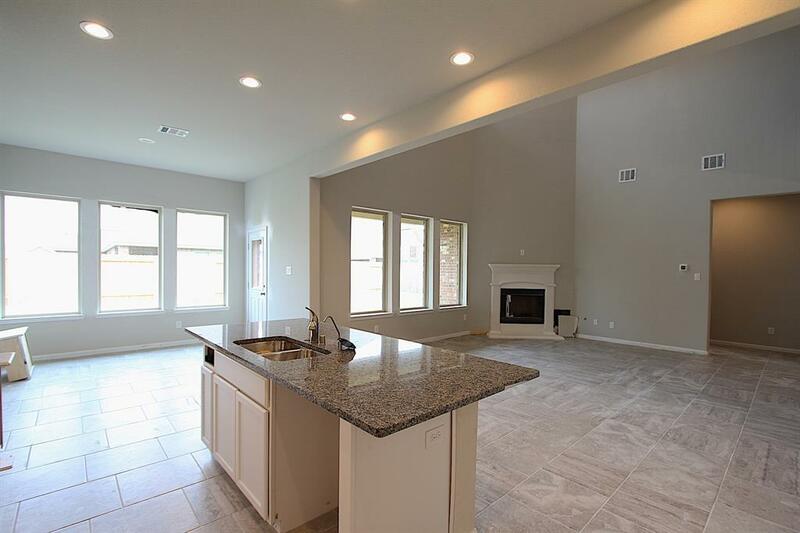 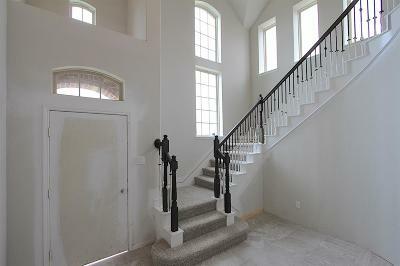 DR HORTON New Construction- Adrian plan- Open concept floor plan with high ceilings in entry, dramatic staircase. 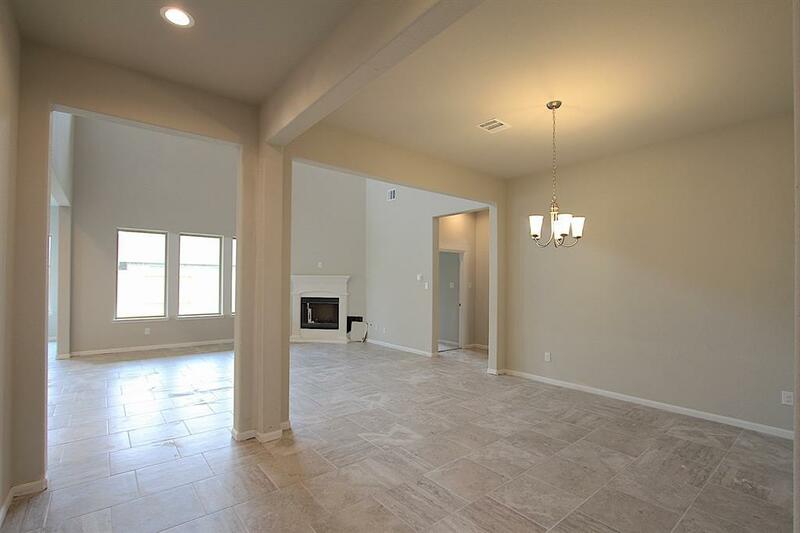 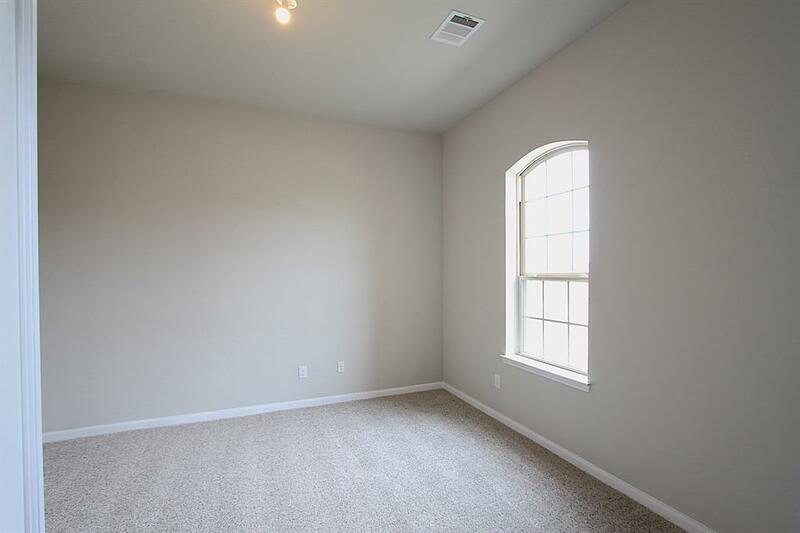 Spacious study off or home office off entry- 18" tile thru-out main living areas. 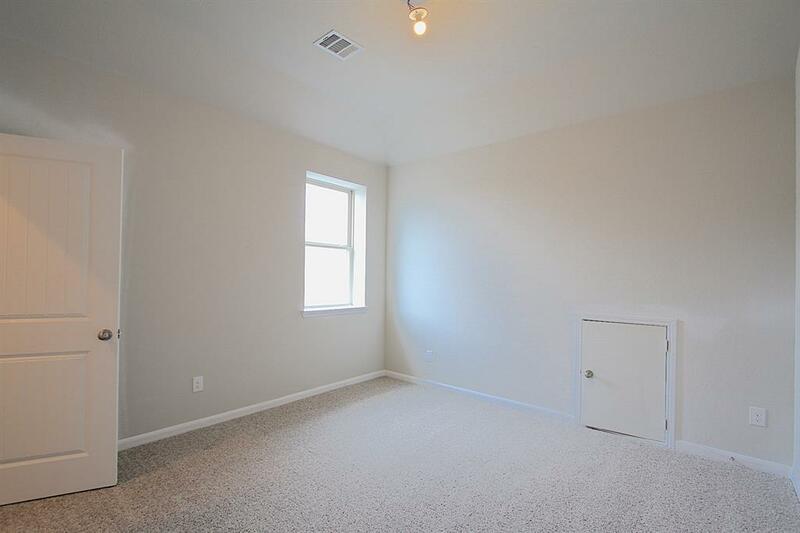 1 guest bedroom down with full bath. 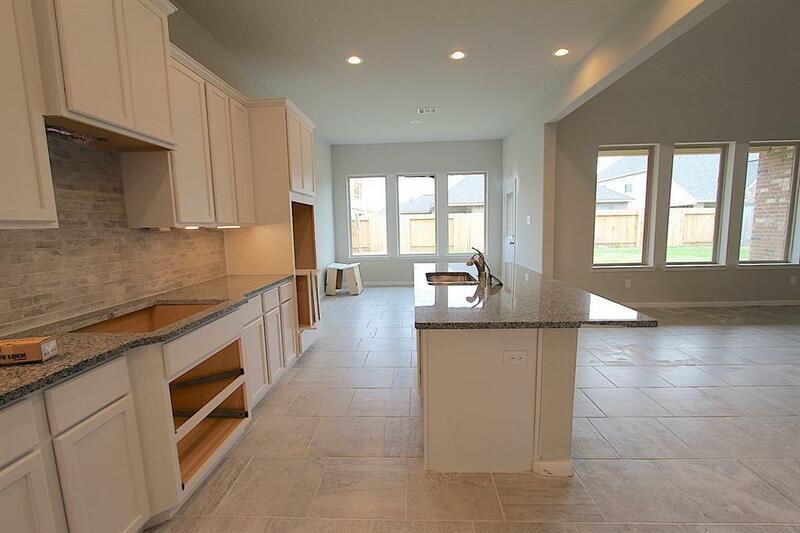 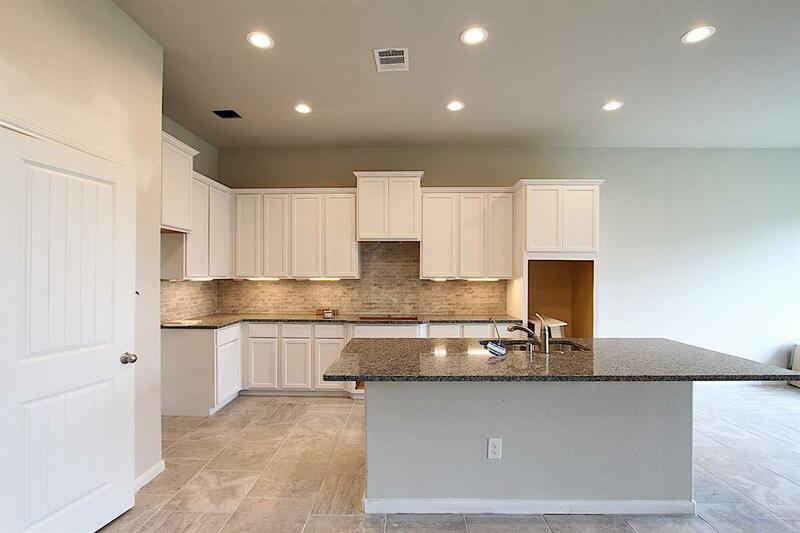 Island kitchen with granite countertops, breakfast bar, double ovens, cabinet under-lighting and stainless appliances. 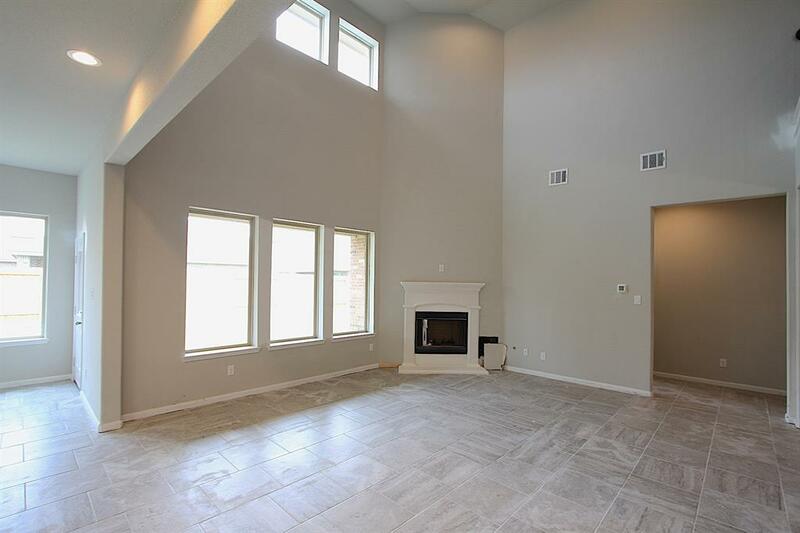 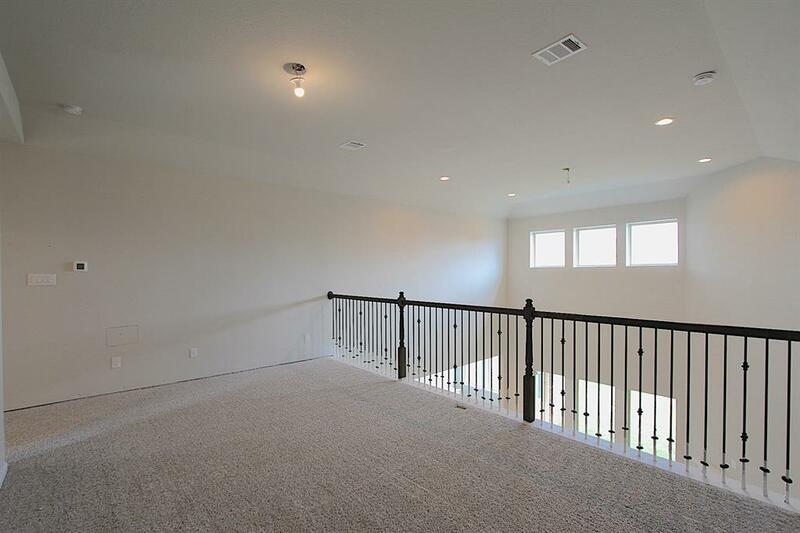 Family room with fireplace, 2-story ceilings and great backyard views. 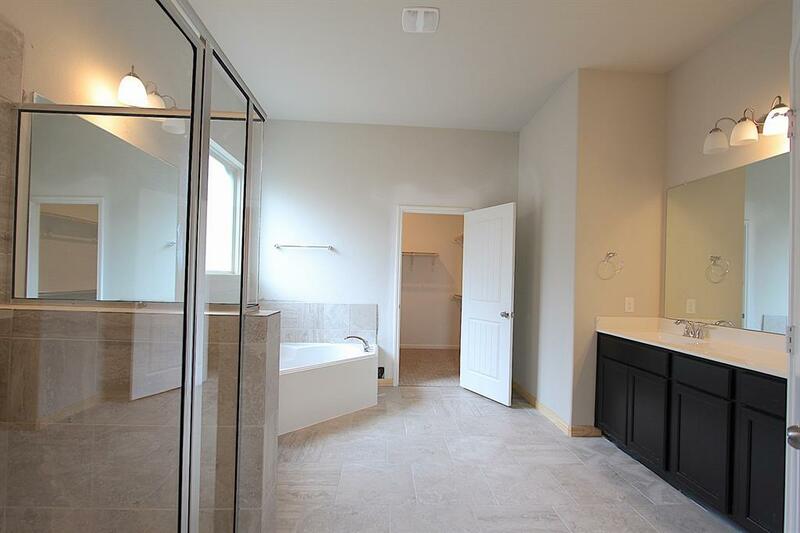 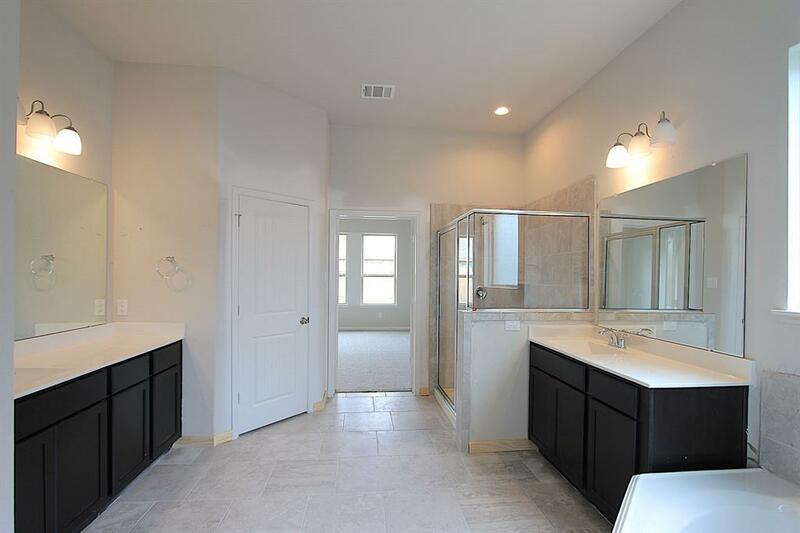 Master down with master bath featuring double sinks & tub with separate shower. 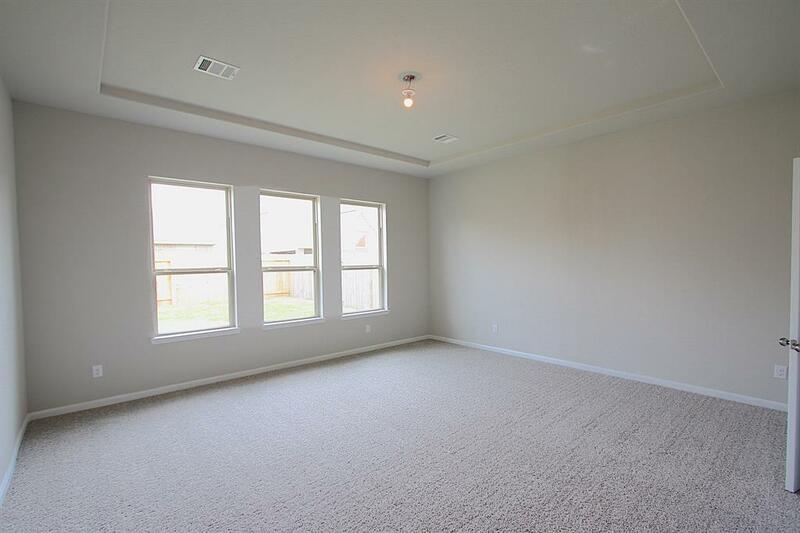 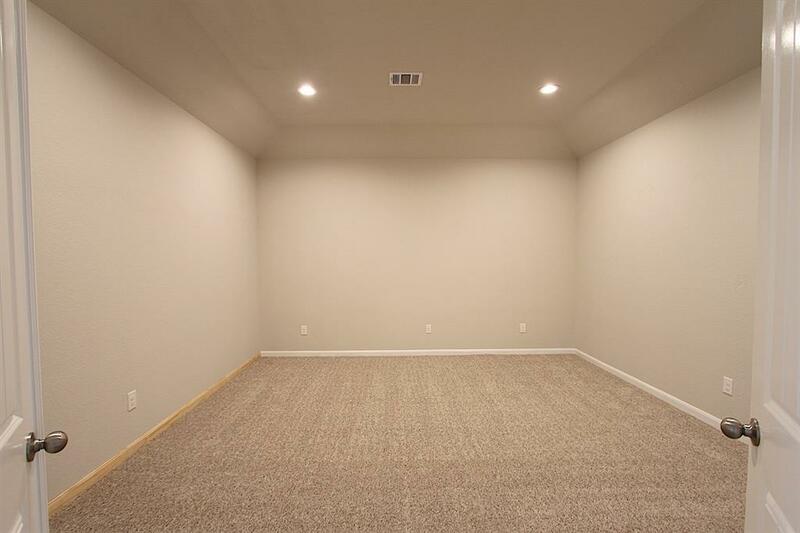 Game room, media room & 2 additional bedrooms up. 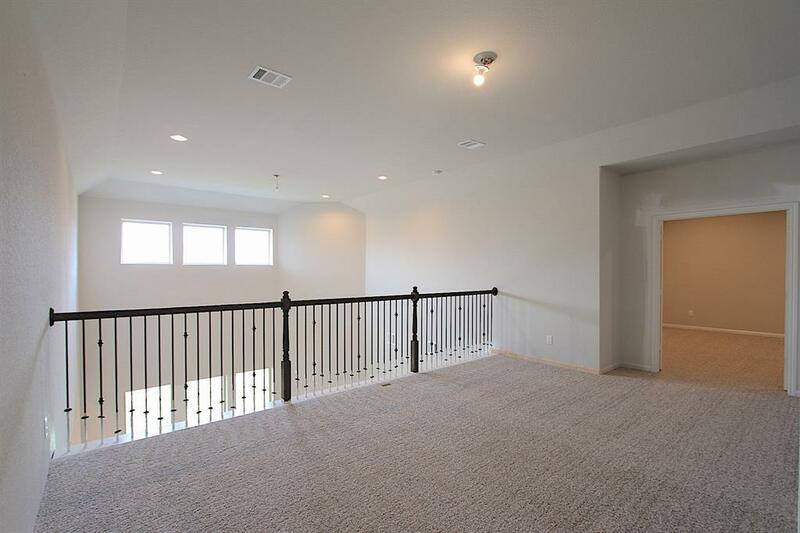 Juliet balcony overlooks family room. 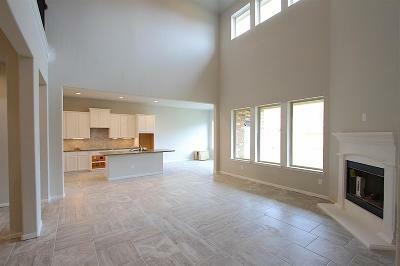 Covered back patio. Directions: I-45 S To Exit 22 Tx-96, League City Pkwy, Turn Right On W League City Pkwy, Left On Maple Leaf Dr., Right On Spring Trail Dr., Right On Sugar Trail Dr.